The Chicago-based derivatives market is the first established exchange to roll-out futures for the red-hot digital currency. Futures are contracts that will let investors bet on the coin’s future price. While bitcoin enthusiasts are excited about the attention – and big money – a new futures market could bring to the digital coin, concerns hang over Gemini, the cryptocurrency exchange Cboe is working with to launch the contracts. 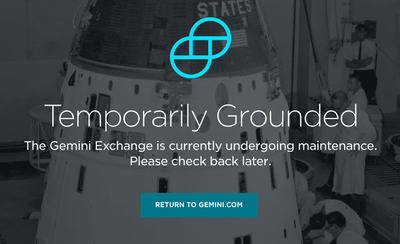 Then there’s the fact that Gemini has suffered outages when demand for bitcoin skyrockets. Its size is concerning to some trading firms which don’t like the idea of an entire market for futures being based on data from one exchange with thin volumes. The logic is, since Gemini is so small, its activity can’t paint an accurate picture of the broader crypto-market. Cboe’s futures will be based on the auction price of bitcoin on the Gemini exchange. Settlements for the contracts, the payout a trader either receives or pays out for their bet, will be determined each day at 4:00 p.m. The first settlement is not set to occur until January. “I’m concerned that the Gemini auctions often have very low volume and the lack of liquidity may lead to the futures settling at a price that is not indicative of where bitcoin is trading on other venues, due to the localised supply/demand imbalance in the auction,” Garrett See, the CEO of DV Chain, the cryptocurrency trading arm of Chicago-based DV Trading, told Business Insider. John Spallanzani, the chief macro strategist at GFI Group, told Business Insider Gemini’s low volumes could be a problem because it could lead to market manipulation. “The last thing we want is another Libor-type scandal,” he added, referring to a scandal in which banks rigged the price of the London Interbank Offered Rate to benefit their positions in the derivatives market. Banks have been fined billions of dollars for manipulating the rate, which provided the base for a loan market worth a $US300 billion. Such market manipulation would not easily get past regulators at the CFTC, the body that oversees futures in the US, according to Dwyer. It also wouldn’t get by Cboe, which has information sharing in place and would watch for irregularities during the auction. As for Gemini, the exchange is required to know exactly the entities trading on the exchange during the auction because of Know-your-customer requirements by New York law. Crypto-insiders are also concerned about Cboe’s futures product. I Am Nomad, a popular crypto-trader who declined to share his true identity for fear of reprisal from his employer, shared his criticism of Cboe’s futures contracts in a recent Medium post. Still, exchange clients appear to be concerned about Gemini’s small command of the market. A person familiar with Nasdaq’s futures contracts, which could launch as early as the second quarter of next year, told Business Insider clients of the exchange voiced their concerns about a product based on too few indexes. Nasdaq’s bitcoin futures contract will track 50 indexes, whereas CME Group, Cboe’s cross-town rival, is set to track four. 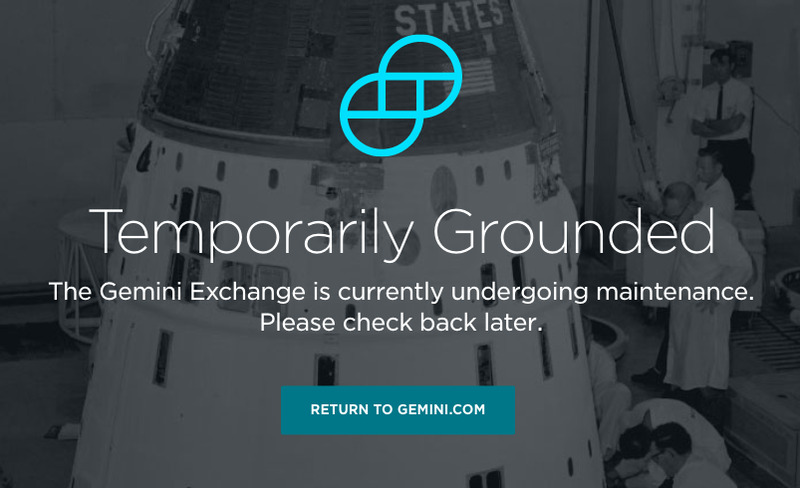 Outages in the crypto-world are commonplace, and Gemini is far from the only exchange dealing with such issues. See told Business Insider crypto-exchanges in a sense are still “websites” that lack “the industrial scale” of traditional exchanges. And with cryptocurrency volumes topping as much as $US26 billion in a single trading day, exchanges and trading firms are under pressure to enhance their technology.